Oracle Corporation founder, Larry Ellison, is an American billionaire and entrepreneur who made his name and wealth by building a database management system. Ellison, who has promised to give away a significant portion of his wealth to philanthropic causes is, as of 2018, according to Forbes, the fifth-wealthiest person in the United States and eight-wealthiest in the world. It should, therefore, be no surprise that he can indulge in very expensive hobbies that include owning and having a license to fly two military jets. Larry Ellison, whose full name is Lawrence Joseph Ellison, was born to a single Jewish mother, Florence Spellman, on August 17, 1944, in the Bronx, New York City. There are very little known details about his biological father other than the fact that he was a United States Army Air Corps pilot of Italian descent. Ellison’s mother had a hard time caring for her baby all on her own. She eventually decided to give him up after he suffered pneumonia at just nine months old. His mother sent him to Chicago to be raised by her aunt and uncle who went on to adopt the baby. His adoptive parents; Lillian Spellman and Loius Ellison, raised him in the middle-class neighbourhood of Chicago’s South Shore community where they owned a two-bedroom apartment. As a child, Ellison was able to grasp mathematics and science that was way ahead of his time. he was, however, very rebellious which strained his relationship with his father. After high school, Larry Ellison chose to attend the University of Illinois at Urbana-Champaign where he showed promising signs. Despite being named science student of the year, Ellison dropped out of school in his second year following the death of his adoptive mother. A year later, he tried to go back to school, this time, enrolling at the University of Chicago, but only managed to complete one semester before he dropped out. However, it was during this time that he discovered computer designing which helped shaped his career path. In 1966, at a young age of 22, Larry Ellison decided to move to northern California, where he mostly took on computer-related jobs. He worked for companies such as Wells Fargo, Amdahl Corporation, and Ampex Corporation before he and two other friends formed Software Development Laboratories (SDL) which got awarded a contract by the CIA to build a database management system which they called Oracle. SDL barely managed to stay afloat with their average revenue stream. The company changed its name in 1979 to Relational Software Inc. before later in 1982, they chose to go by Oracle Systems Corporation in honour of its first product, the Oracle database, which bigger companies like IBM signed on to use. Oracle Systems Corporation grew from height to height and even though it flirted with bankruptcy at a certain time, the company was by the mid-90s, the leader in the database management business as Larry Ellison became one of the wealthiest persons in the world. Larry Ellison has been married four different times to four different women. His first marriage was to Adda Quinn in 1967 and it lasted seven years before they divorced. In 1977, a few months before he founded Software Development Laboratories, he married Nancy Wheeler Jenkins. The union turned out to be his shortest ever as the couple divorced a year later in 1978. In 1983, Ellison exchanged vows with a Barbara Boothe who used to work as a receptionist in his company. The wedding was almost called off by Boothe a few hours before the ceremony after Ellison presented her with an 11-page prenuptial agreement. She eventually signed the documents and became Mrs. Ellison even though it was just for three years as they divorced in 1986. Together, the couple had two children; David and Megan Ellison. Between 2003 and 2010, Ellison was married to romance novelist Melanie Craft. He has, since his fourth divorce, been in a longterm relationship with actress and model Nikita Kahn. 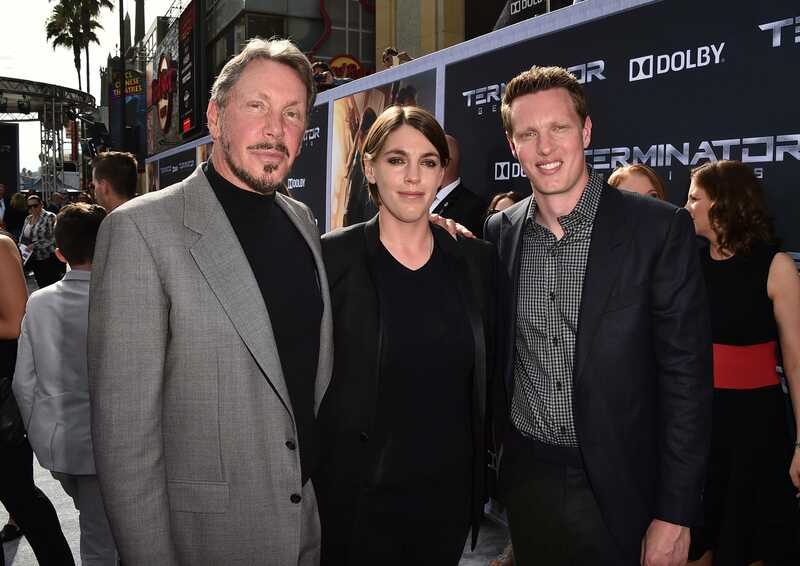 Larry Ellison’s daughter, Megan, who was born on January 31, 1986, in Santa Clara County, California, is a film producer. She founded the company Annapurna Pictures which is best known for producing films like ‘Zero Dark Thirty’ (2012), and ‘American Hustle’ (2013). Place of Birth: New York, U.S.